Join us, Sunday March 11th, for another fun Elite Reef raffle event as we team up with Marine Engineers aquarium blog to bring you FREE raffles all day long! We will be opening at 11:00am as normal, and the raffle madness will begin at Noon. Throughout the day we will be holding *Elite Reef Raffles and at the end we will be holding an exclusive **Reefstock Attendee Raffle. Get your FREE raffle tickets simply by shopping at Elite Reef between Saturday March 3rd and and the beginning of the last raffle March 11th. Each purchase of $50, or more, gets you one FREE raffle ticket valid for your choice of our Sunday March 11th *Elite Reef Raffles. FREE raffle tickets will be handed out for the **Reefstock Attendee Raffle at the Elite Reef booth on Saturday March 10th at Reefstock 2012. *Elite Reef Raffles: Each purchase of $50, or more, at Elite Reef between March, 3rd and March, 10th 2012 will earn one ticket good only on Elite Reef Raffles held at Elite Reef on March 11th 2012. **Reefstock Attendee Raffle: The Reefstock Attendee Raffle for the “Ultimate Nano,” package will be handed out at the Elite Reef booth, March 10th, at Reefstock 2012. Elite Reef raffle tickets not valid for any raffle held, March 10th, at Reefstock. 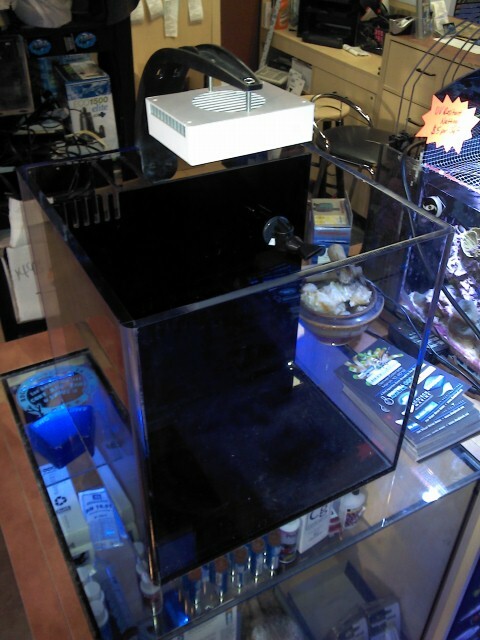 Must be present at Elite Reef March 11th 2012 to win.